traffic | Park View, D.C. Yesterday it was noted on the Park View Beautification Crew Facebook page that a new speed camera has been located on Irving Street halfway between Georgia Avenue and Warder Street. While the new location hasn’t been added yet, in general you can check out MPD’s Speed Camera Location page to see where camera’s are deployed throughout the city. Of equal interest, you can also contact MPD to recommend a photo radar location. 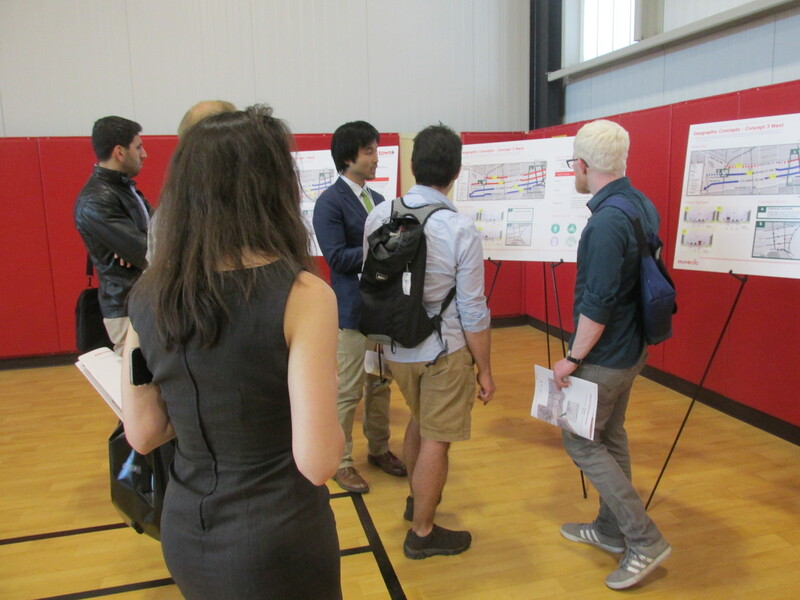 Residents reviewing some of the boards during the 2nd Crosstown workshop. The third Crosstown Multimodal Study Workshop has been scheduled for June 9th. It will be held in the Main Hall of Trinity University from 6:00 p.m. to 8:00 p.m. with a presentation at 6:30 p.m. This is the same location where the first workshop was held. The O’Connor Auditorium is located at 125 Michigan Avenue, NW. If you haven’t reviewed the three concepts that were presented at workshop #2, you can find all relevant materials here. I’m also reposting the concepts below. After becoming familiar with the ideas in them, you can take the online survey to provide additional feedback to DDOT. (Washington, DC) — The District Department of Transportation (DDOT) will close one lane of traffic in each direction on Georgia Avenue, NW, between Barry Place and Florida Avenue, NW in Ward 1 beginning on Tuesday, July 28, 2015 at 7 am, weather permitting. These closures are expected to stay in place until May 2016. 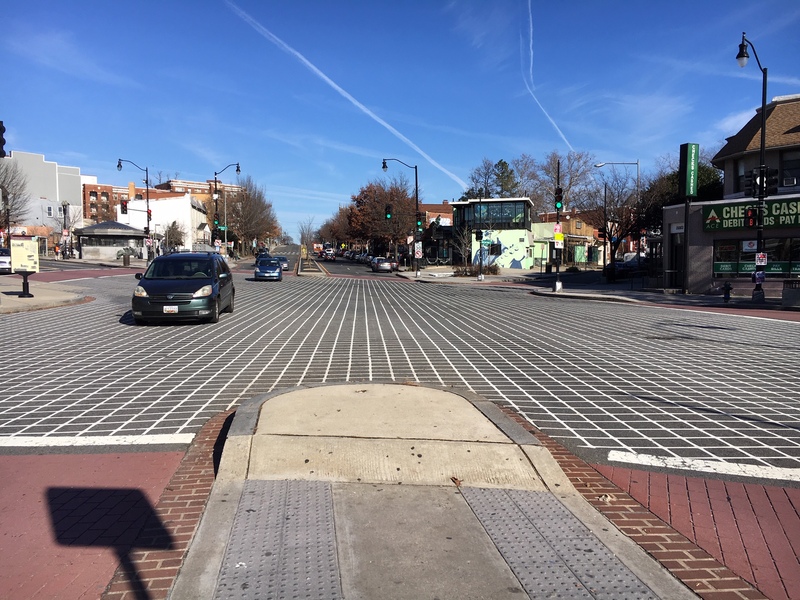 The closures are needed for DDOT to construct dedicated bus lanes and a streetscape along Georgia Avenue, NW. The work includes the replacement of sidewalks, curb and gutters, sidewalk ramps, mill and overlay of the roadway, and new dedicated bus lanes in each direction on Georgia Avenue, NW. Curbside parking will be restricted while work is underway and ultimately removed upon completion of the project. Emergency No Parking signs are and will be posted a minimum of 72 hours before the start of construction. Sidewalk detours will also be in place while sidewalk repair is in progress. Signage and protective barriers will be used to maintain public safety. Motorists should expect moderate-to-heavy delays, and are advised to seek alternative routes. DDOT encourages all traveling in this area to stay alert and to obey all construction signs. By the year 2024, Washington, DC will reach zero fatalities and serious injuries to travelers of our transportation system, through more effective use of data, education, enforcement, and engineering. In particular, I like the inclusion of the Vision Zero safety map which lets residents indicate safety issues collaboratively. I noticed that there aren’t many issues listed in the Park View area yet, but presume it will fill in over the next several weeks. Access to some of the related safety and traffic plans is available at the DC Vision Zero page here. New stop sign on Warder. Yesterday, a new stop sign was installed for northbound traffic on Warder Street at the intersection of Princeton Place, NW. This makes the intersection an all-way stop. Traffic safety at the intersection of Warder and Princeton has been a concern for a while. Initial requests from residents seeking better traffic calming resulted in DDOT installing new crosswalk signs in May 2011. 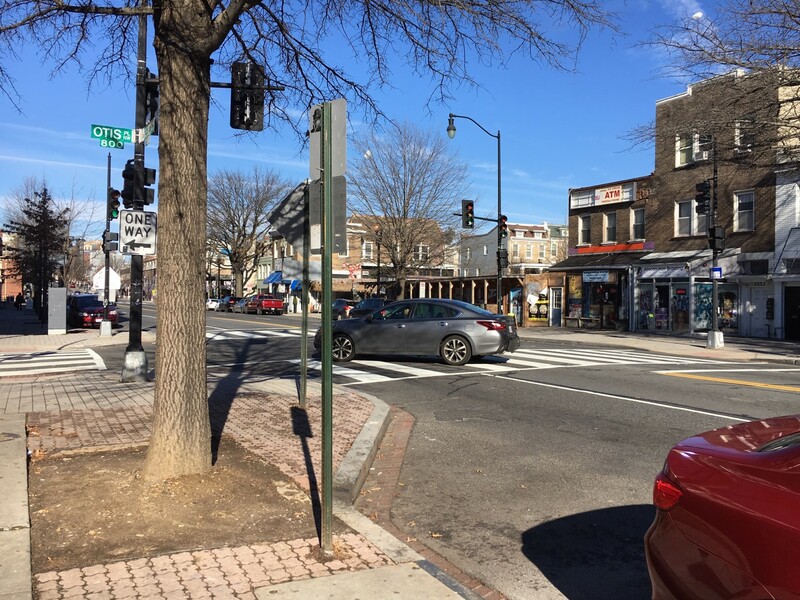 After the November 5, 2014, accident at the intersection, DDOT agreed to further study the safety of the intersection. 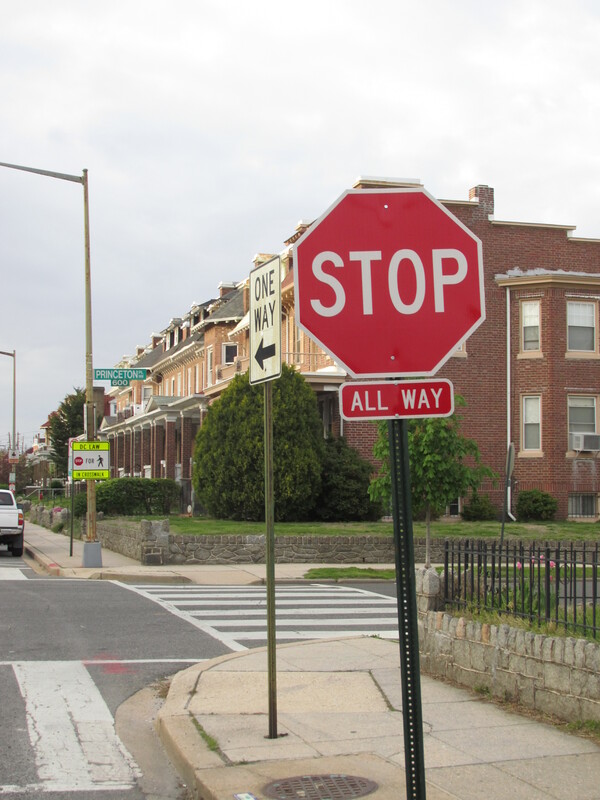 DDOT’s field review and crash analysis of the intersection ultimately resulted in their installing the new stop sign. A pair of accidents at the southern end of Park Place this month again underscored the need for better safety along this stretch of road. The first accident occured on the afternoon of March 16th at the corner of Park Place and Kenyon in which a vehicle sped through the red light. After the accident, the occupants fled the scene leading to a police search and snarled traffic. 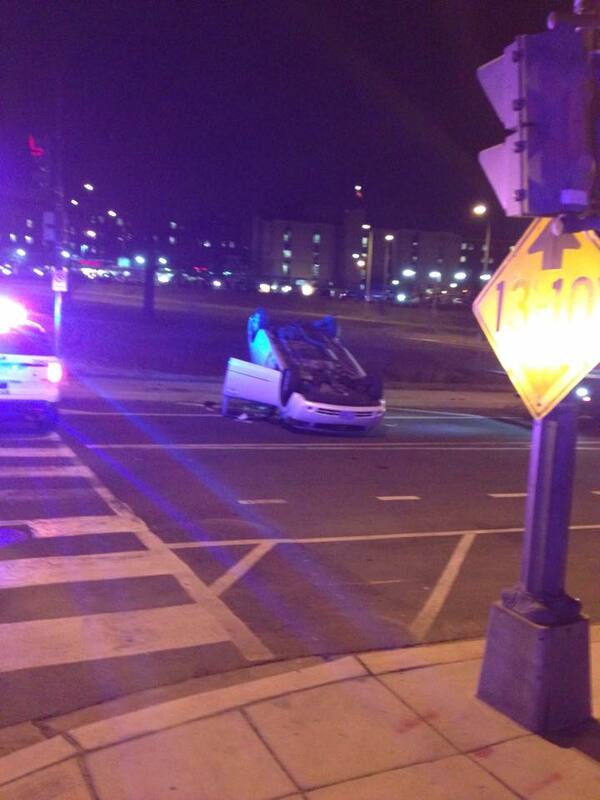 A more recent accident occurred on March 24th around 9 pm. This time the accident was at Park Place and Irving with the vehicle coming to rest upside-down. 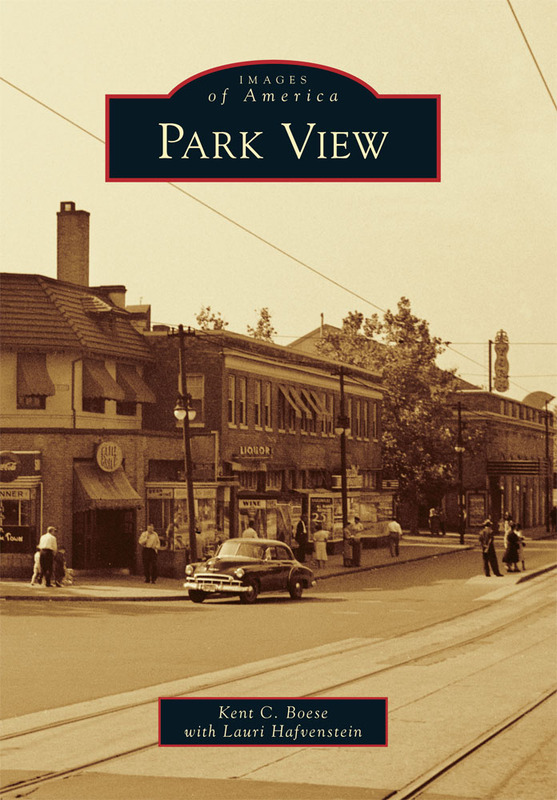 From its start at Rock Creek Church Road in the north to Kenyon Street in the south, Park Place is only nine blocks with a speed limit of 25 mph. Yet, the street runs fast. It’s constructed as a two-lane one-way southbound street with no cross streets, stop signs, or traffic lights for to slow traffic as it vehicles travel the nine blocks along the Soldiers’ Home. Vehicles entering Park Place from the north have no incentive to slow down and frequently speed well above the speed limit. Over the years, speed cameras have been placed at various spots along the route to encourage drivers to slow down. This works for a while, resulting in the speed cameras being removed and eventually brought back at different locations. There is currently a camera located just north of Quebec Place. Yet, until the street is redesigned, speeding traffic will continue to be not just a nuisance, but a public safety issue. 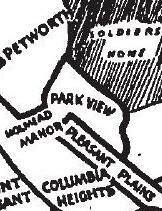 It is long past time to have DDOT re-evaluate the layout of Park Place. While the easiest/cheapest solution would likely be stop signs or traffic lights, I think a better long-term solution would be to narrow the street to one lane, and in so doing add a pedestrian sidewalk along the Soldiers’ Home fence on the east and a protected bike lane between the sidewalk and a parking lane on the west. 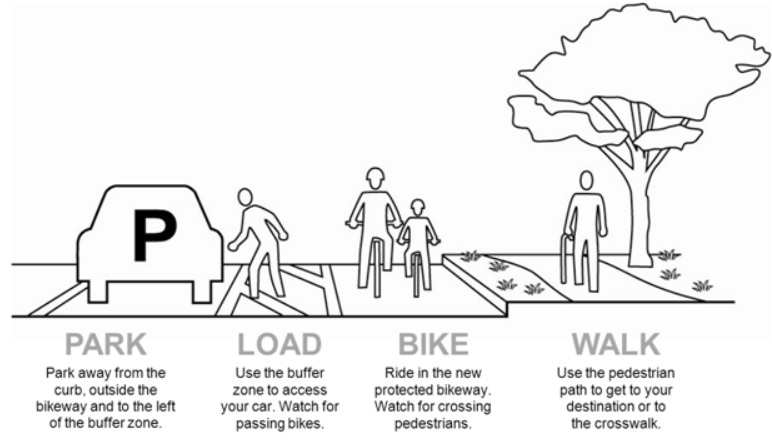 This would increase bike safety, encourage slower driving speeds, and make the stretch more pedestrian friendly. If done well, it could also enhance beauty and providing room for street trees (especially on the southern stretch of the street which currently lacks trees). Not only would narrowing Park Place to one lane help slow traffic leading to Kenyon and Irving, once a driver arrived at the southern end of the street there would be less confusion and jockeying for lane position as the intersections become a maze of choices leading to east bound Irving, east bound Michigan, south bound 5th Street, and west bound Columbia Road.